The Bhambatha Rebellion, a defiance against the introduction of an unjust poll tax by the Natal Colonial Government, is considered by many as the beginning of the armed struggle by black South Africans. Bhambatha kaMancinza Zondi, the chief of the Zondi community, was one of the major opponents of a poll tax of one pound on all male residents over the age of 18. The first major clash took place near Richmond in February 1906, followed in April at what has become known as Ambush Rock near Mpanza between Greytown and Keate’s Drift, where four policemen were killed. This resulted in the Colonial Forces being called up for service but by then, many of the tribal communities in the colony were in open rebellion against the tax, and Bhambatha had moved with his warriors into the densely forested Nkandla area, from where he operated. Despite artillery shelling of the forests and sweeping searches by the colonial troops, the rebels remained secure. However, on 9th June 1906, Col. Duncan McKenzie, commander of the colonial forces, received word that Bhambatha and his men were entering Nkandla forest via Mome Gorge. The next day the rebels were engaged, with 575 killed to the loss of 3 of the colonial force. 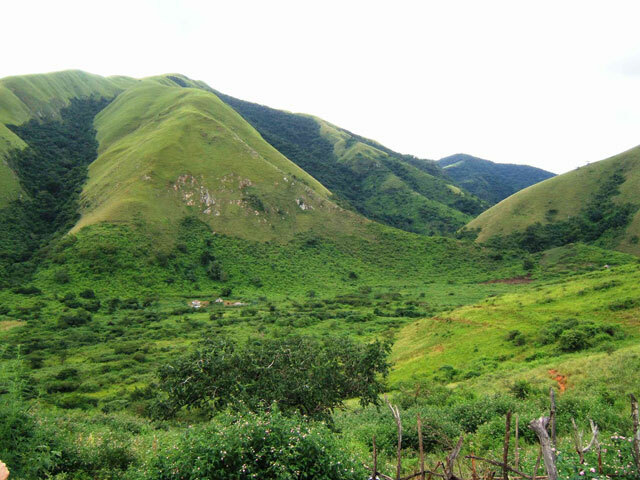 Officially, Bhambatha’s body was located on the banks of the Mome stream, decapitated and the head taken to Nkandla for identification, after which it was returned to the forest and buried with the body. Leading members of the Zondi community, however, maintain that Bhambatha evaded capture and fled to Mozambique. The Battle of Mome Gorge broke the back of the rebellion, and although several influential amakhosi led sporadic displays of resistance, they were unable to match the firepower of the colonial forces and by mid July the rebellion had ended. For more information about each site see Bhambatha Rebellion.